Herbalism and natural medicine was last mainstream in the 1960s, obvi. After which point it was overtaken by Western Medicine via opium to the discovery of morphine; heroine on the shelves alongside aspirin; The Germ Theory vs The Terrain Theory; vaccinations, pre-antibiotics, antibiotics and vaccinations. Herbs are not as effective as traditional medication. Simply true. However effective is subjective (are we talking pain management or healing?) and acute versus chronic ailments are important to understand. More on that below. Facilitate healing, which our bodies are always doing naturally. Are perfect. Not "super" a la superfoods, but perfect. For example, there is no need to hybridize. Can the herbalist name her favorite herb? A cure-all if such exists? Well, the three that lived through Western Medicine's weed-wack are: lavender, chamomile and peppermint. No surprises. Peeka also loves Rosa Gallica ("The Apothecary Rose" which I now need, and for which rosaries were named) and Damask Rose - both un-hybridized since the 12th (?) century. Rose was successfully used to treat The Plague. And those ominous beak masks the doctors wore? They were full of flowers. 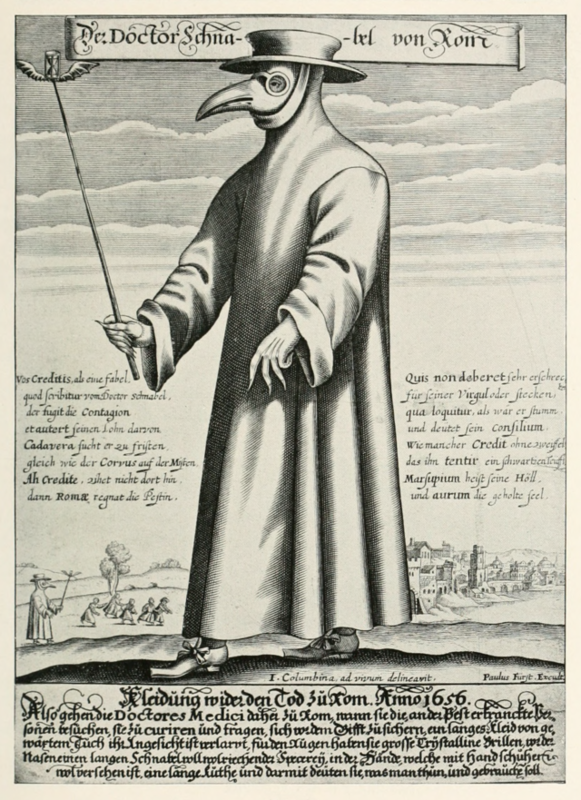 The Plague Doctor's Costume: The mask had glass openings for the eyes and a curved beak shaped like that of a bird. Straps held the beak in front of the doctor's nose. The mask had two small nose holes and was a type of respirator which contained aromatic items. The beak could hold dried flowers (including roses and carnations), herbs (including mint), spices, camphor, or a vinegar sponge. The purpose of the mask was to keep away bad smells, which were thought to be the principal cause of the disease in the miasma theory of infection, before it was disproved by germ theory. Doctors believed the herbs would counter the "evil" smells of the plague and prevent them from becoming infected. Acute ailments (cold, flu, fever) are forms of discharge, or our bodies expelling illness. We aggressively suppress these (via meds). Potentially, the result of that is chronic disease (diabetes, cancer). Caveat: this is Peeka's POV ->Cancer is the body's inability to distinguish natural from unnatural due to having been overwhelmed by toxins, medication, poor diet and lifestyle. Herbs provide a reawakening for natural healing to occur. They serve to augment and cultivate daily health. Which is, prevention. Recommendation: Consume local herbs. To lessen your footprint but also because they are best for grounding and reassociating you with the land on which you stand (and/or see from time to time, if you live in NYC). ErthlyDlights, for Cliff Notes from the high road.